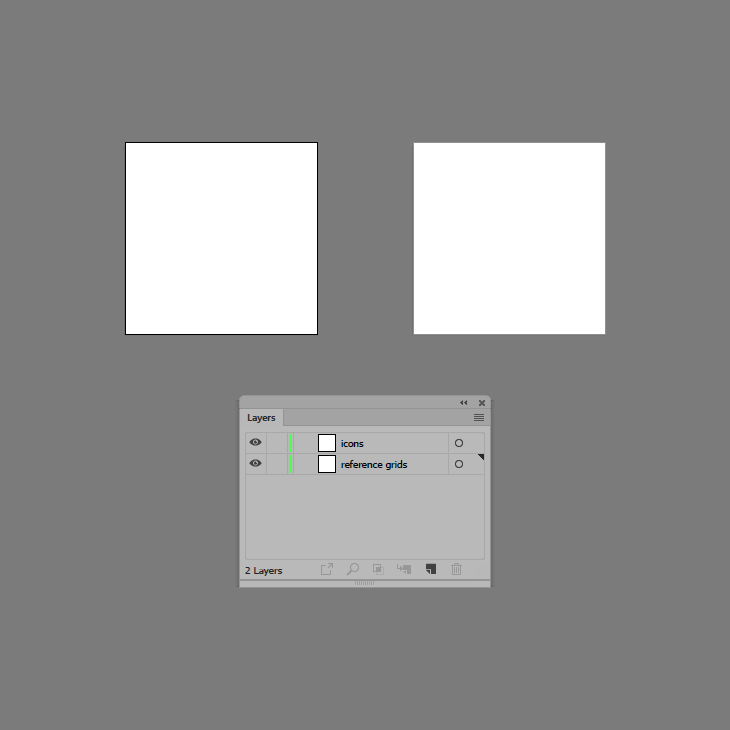 Assuming you’ve finished setting up the reference grids, we’re going to position ourselves onto the first Artboard, and then zoom in on its reference grid so that we can have a better view of the shapes that we’re going to be using to gradually build the mouse icon. 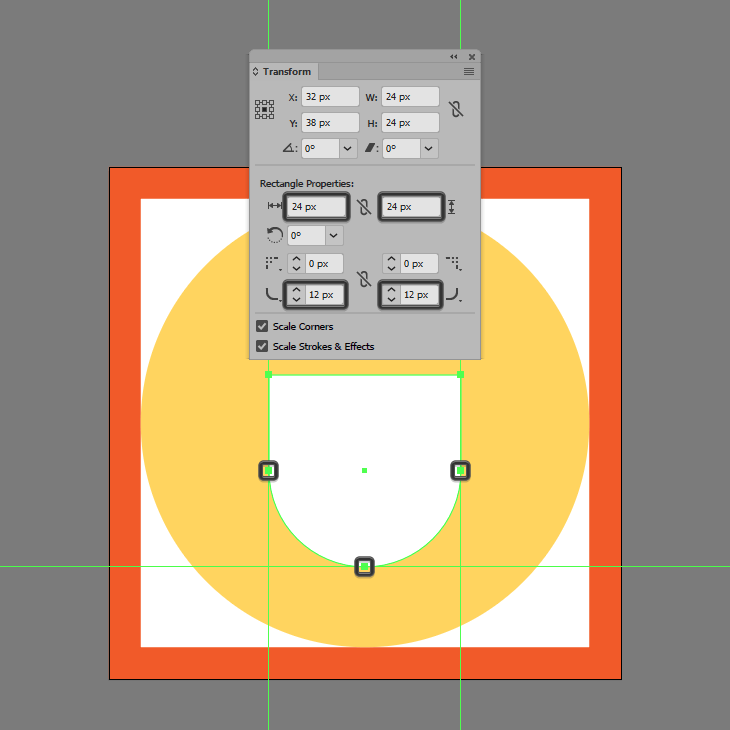 Start by creating the background using a 56 x 56 px circle, which we will color using #FFD55F and then center align to the underlying Artboard using the Align panel’s Horizontal and Vertical Align Center options. 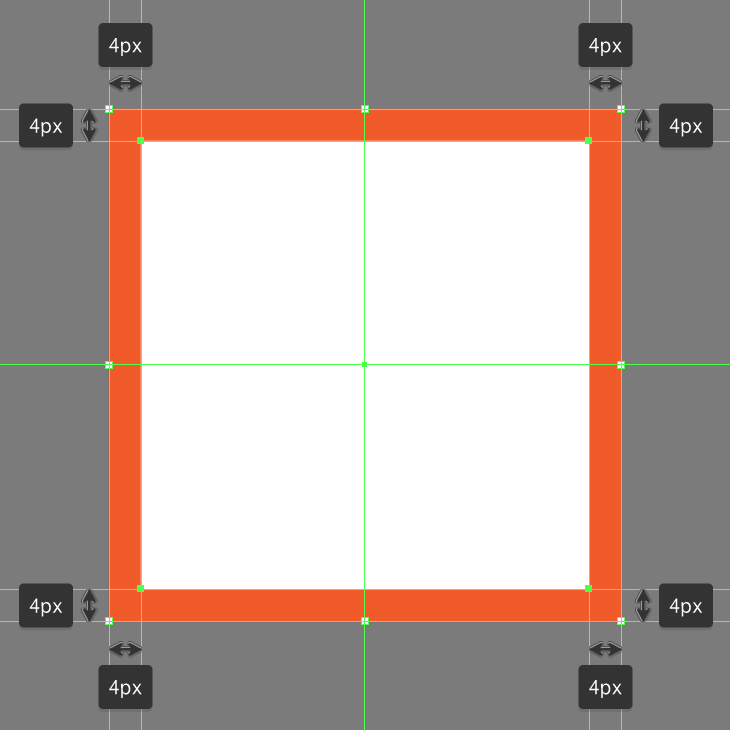 Create the main shape for the mouse’s body using a 24 x 24 px square, which we will color using white (#FFFFFF) and then center horizontally center align to the underlying active drawing area, positioning it at a distance of 10 px. 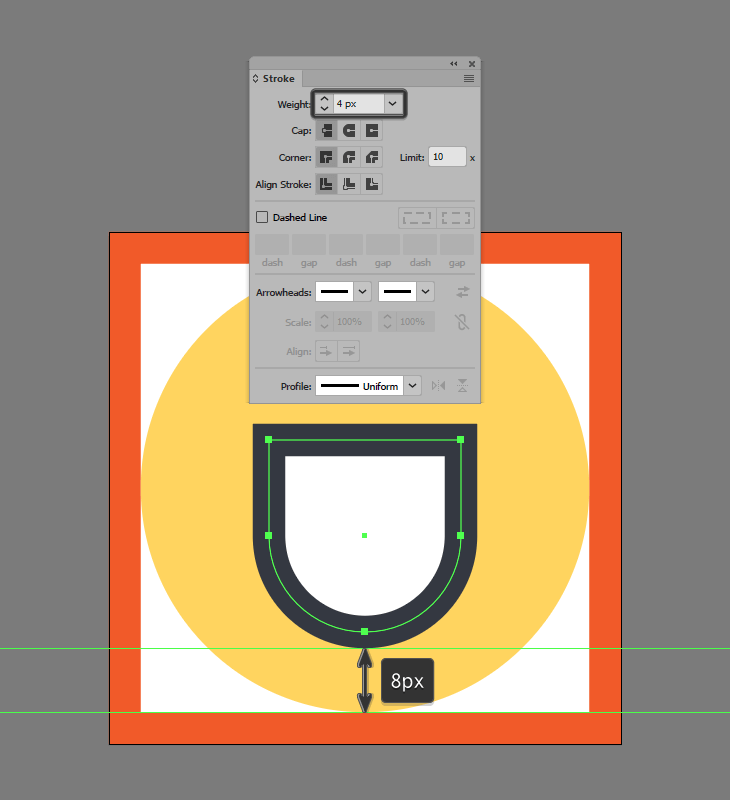 Adjust the shape that we’ve just created by opening up the Transform panel, and then setting the Radius of its bottom corners to 12 px. Add an outline to the resulting shape using the Stroke method, by creating a copy (Control-C) which we will paste in front (Control-F) and then adjust by first changing its color to #31353F and then setting its Weight to 4 px. 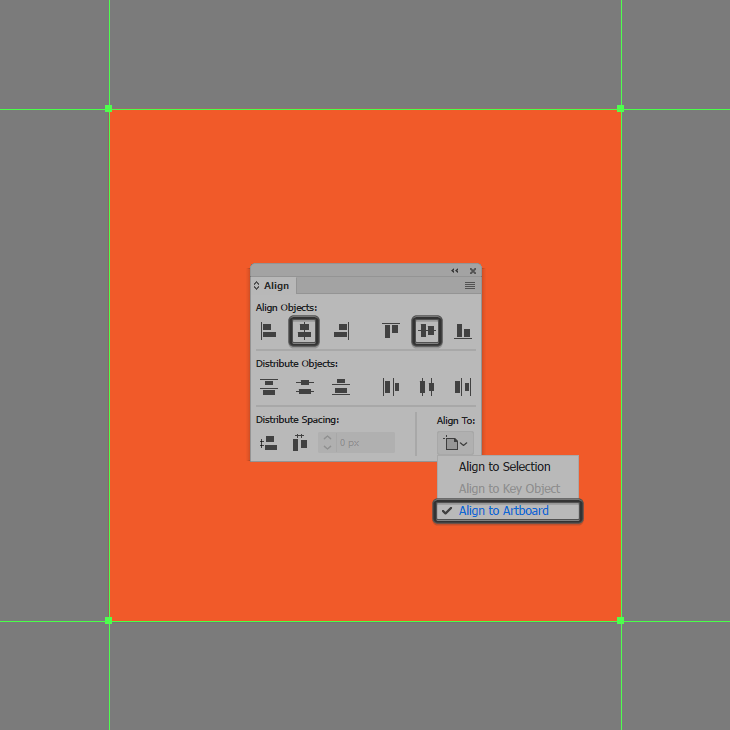 Create the upper buttons using a 24 x 12 px rectangle (#FFFFFF), which we will adjust by setting the Radius of its top corners to 8 px. 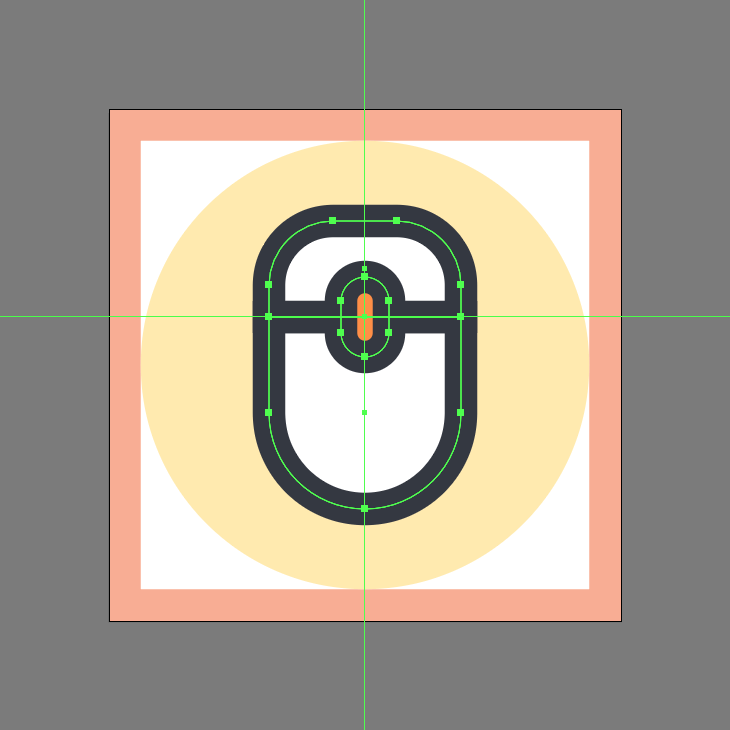 Give the resulting shape a 4 px thick outline (#31353F), grouping (Control-G) and then positioning the two above the larger body so that their outlines overlap. 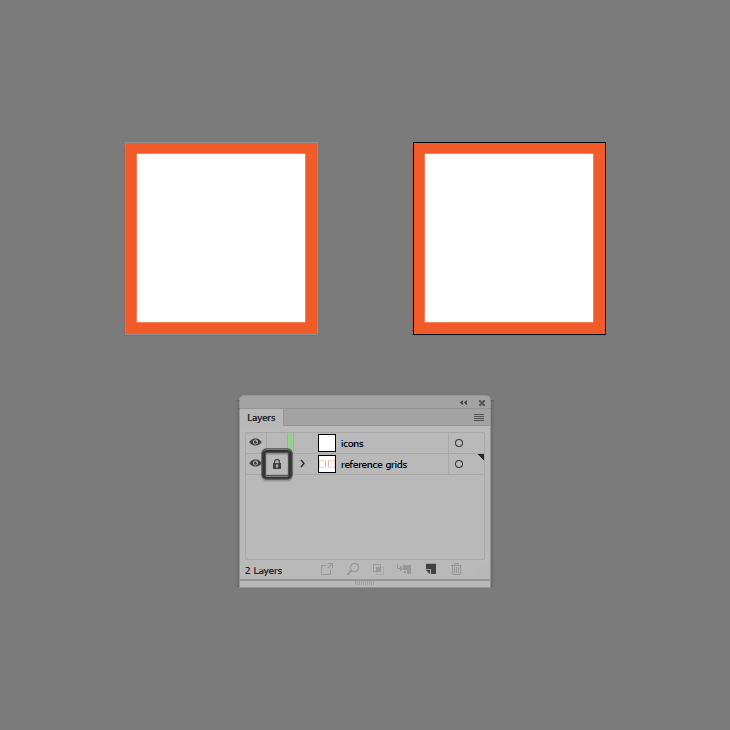 Add the scroll wheel using a 6 x 10 px rounded rectangle (#FF9045) with a 3 px Corner Radius and a 4 px thick outline (#31353F), which will group (Control-G) and then position as seen in the reference image. Select the Pen Tool (P) and quickly draw the cable section using a 10 px tall 4 px thick Stroke line (#31353F), starting from the upper edge of the mouse and going all the way to the top edge of the active drawing area. 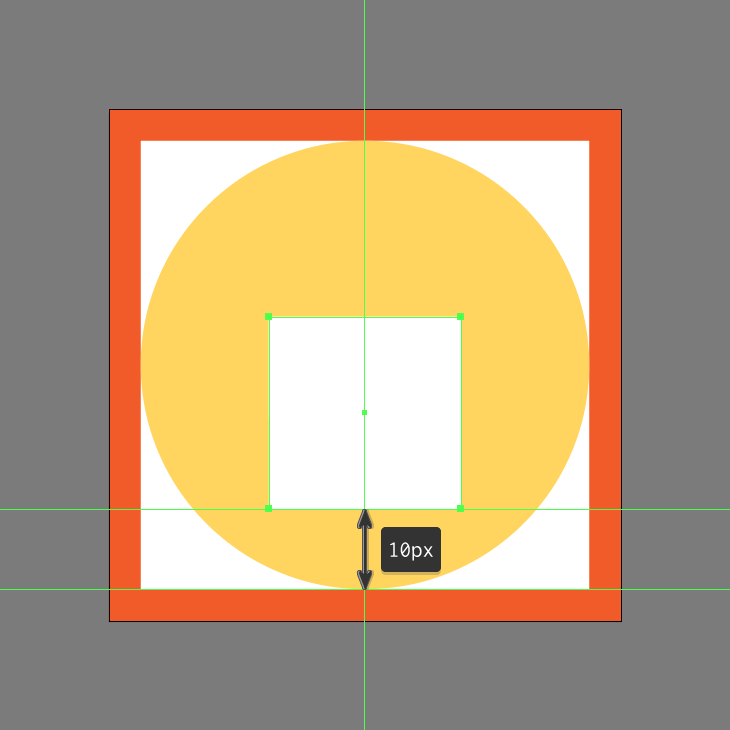 Add the little cable bump using an 8 x 4 px rounded rectangle (#31353F) with a 2 px Corner Radius, which we will position as seen in the reference image. 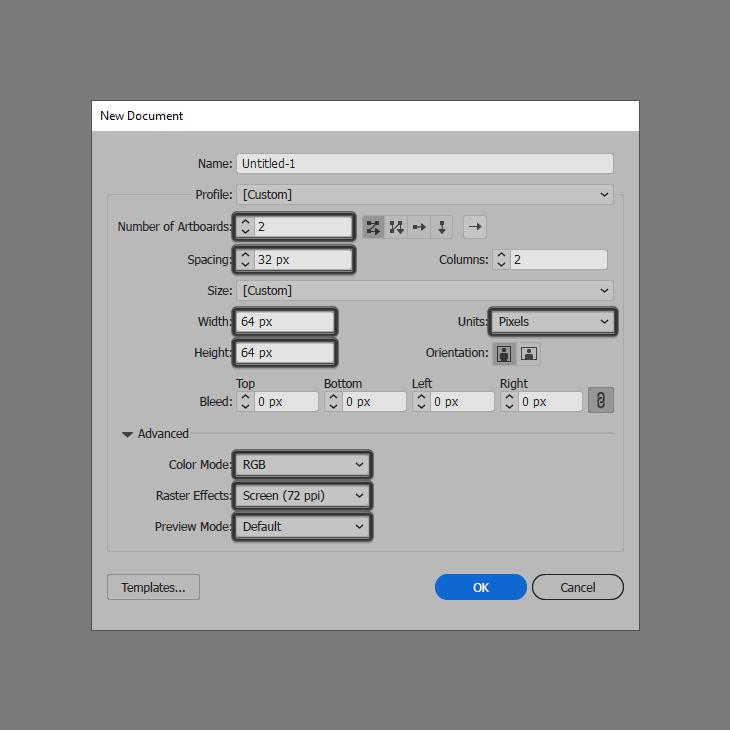 Once you’re done, select and group all of the mouse’s composing sections together using the Control-G keyboard shortcut. Finish off the icon by masking the entire mouse by creating a 56 x 56 px circle, which we will position on top, and then with both of them selected simply right click > Make Clipping Mask. Once you’re done, make sure you select and group all of its composing shapes together using the Control-G keyboard shortcut. As always, I hope you had fun working on the project, and most importantly managed to learn something new and useful along the way.